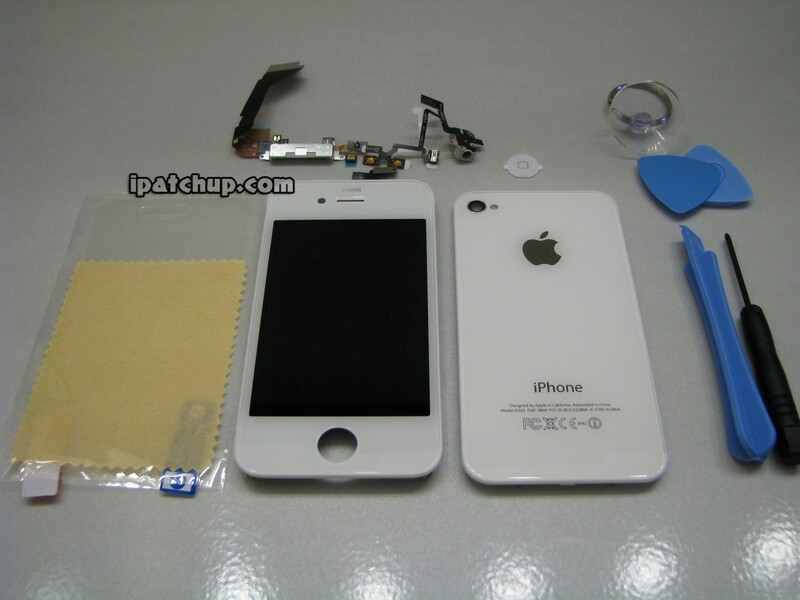 Want A White iPhone 4 NOW? Who knows if Apple will ever release the white iPhone 4. At this point they are probably already working on the iPhone 5, so there really is no reason to beleive that they are still going to release a white iPhone 4. If you want a white iPhone 4 right now, it looks like you can change out your black casing for $175 or less. This is also a perfect solution for those of you who have tons of scratches on your iPhone 4 or maybe even shattered your screen. DISCLAIMER: You will be voiding your warranty if you do this installation. This kit includes the iPhone 4 White Front Assembly due to the fact that the LCD cannot be separated from the black iPhone 4 without damage. Thus, it is highly recommended to have the full front assembly LCD. $175 – 10%(17.50) = $157.50, Free Shipping. They are alot cheaper on eBay and the quality is just as good!! Did you convert yours? If so how do you like it? If they came in white all the dumb kids would want a Black one.